The little village of Hautvillers in the east of the Vallée de la Marne region of Champagne is most famous for the Saint-Pierre d’Hautvillers Abbey. It was here that the Benedictine monk Dom Pierre Pérignon was active in the late-1600s and is where he is buried today. 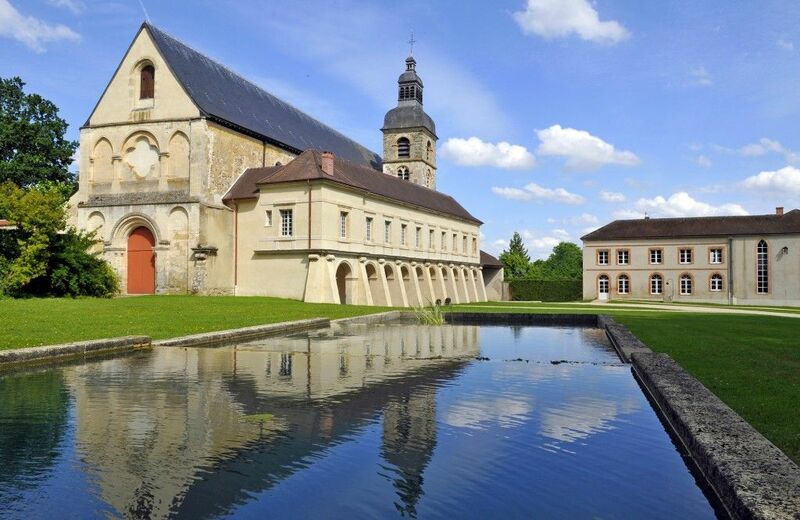 This week, it was the site of transformation for his legacy, the most-famous champagne in the world, Dom Pérignon. Chef de Cave Richard Geoffroy is almost as legendary in Champagne as the liquid he produces. Taking over at Dom Pérignon in 1990, he’s been in charge for 28 harvests, has produced 14 blanc vintages and 11 rosés, and oversaw the introduction of the hugely successful oenothèque program. 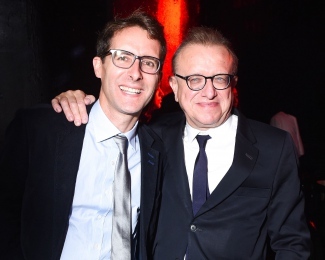 He has also managed production at Moët & Chandon since 2005. It was therefore a momentous occasion for Champagne when, on Wednesday 13th June, Geoffroy announced his retirement. His successor, 41 year-old Vincent Chaperon has been working at Dom Pérignon for thirteen years but, nevertheless, faces quite the challenge stepping into Geoffroy’s shoes. To mark his retirement, connoisseurs from all over the world were invited to the handover ceremony in Hautvillers, after which followed the launch of long-awaited Dom Pérignon 2008. 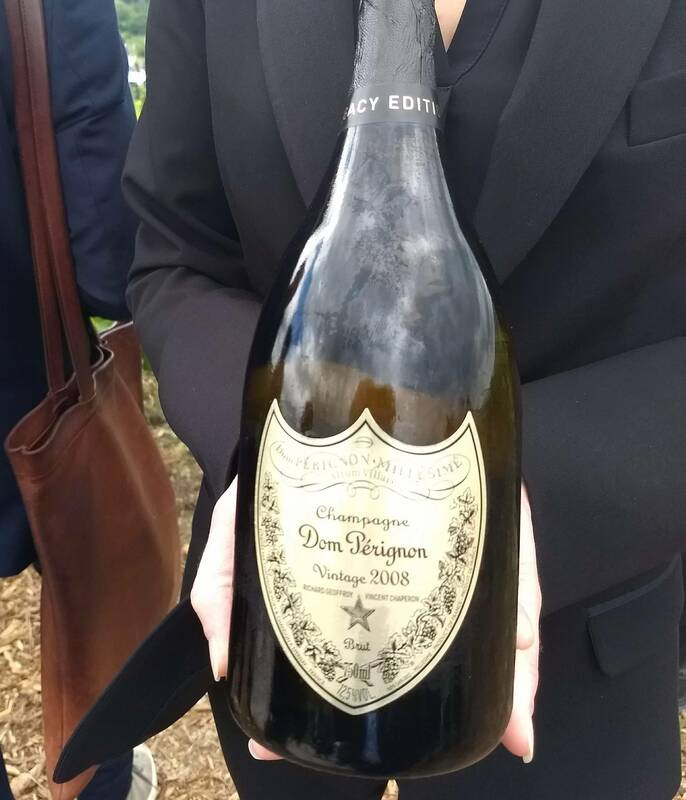 Geoffroy’s decision to release Dom Pérignon 2009 last year – ahead of 2008 – constituted the first non-consecutive release in the history of the house. Widely acknowledged as a stunning vintage (the next-best in Champagne since 2002, and let’s not forget how majestic Dom Pérignon 2002 is – one of the few champagnes to be rated 20/20 by Jancis Robinson MW), 2008 was a cooler year with a growing season bookended by bright, dry conditions in spring and September producing a high quality crop. The Dom Pérignon 2008 blend is approximately half Pinot Noir and half Chardonnay, as typical. Upon release in a few months’ time, it will have had more than 12 months post-disgorgement ageing on the cork. At the launch this week, Geoffroy commented that although the notable acidity of 2008 has been tamed, refreshing acidity still forms the backbone of the champagne, which has the extra concentration, mouthfeel and density of a world-class vintage. We can’t wait to taste it at the London launch next Tuesday, to toast a no-doubt wonderful champagne and celebrate one of the region’s greatest minds: Richard Geoffroy.